Born in Cosenza in 1968, started his dance studies with teachers from the National Opera of Bucharest, including Cecilia Covaci, Ilie Suciu, Alecu Marin and Magdalena Popa. After he honed his skills at Canada’s National Ballet School in Toronto. He returned to Italy and made his debut at the Balletto di Toscana in 1986. He danced in all of the Company’s productions and became one of its leading performers. In the 1992-93 season, he temporarily left the Balletto di Toscana Ballet becoming a soloist at the English National Ballet. There, he gained important professional experience and was given prominent roles in Struchkova’s Swan Lake, Ashton’s Romeo and Juliet, and Tetley’s Sphinx. Scigliano then returned to the Balletto di Toscana and starred in creations by some of the most acclaimed Italian choreographers, including Bigonzetti, Monteverde and Sieni, as well as significant European ones such as Van Manen, Bruce, Preljoçaj, Gelabert, Christie and Wubbe. In 1994, Scigliano was named the best Italian dancer at the Danza&Danza Awards. In the mid-1990s, he was encouraged by Cristina Bozzolini to do his first work as a choreographer. 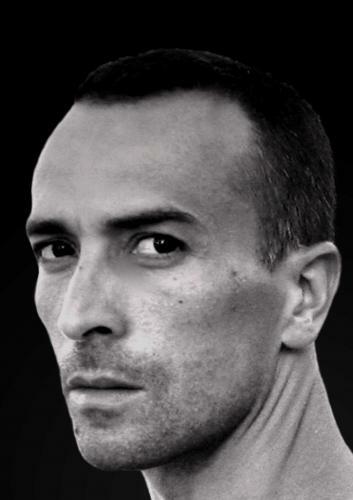 In 2001, he was invited to join the Aterballetto company by Mauro Bigonzetti and he performed as a soloist in pieces of its repertoire and the staging of choreographies by Bigonzetti and Forsythe. For Aterballetto 2003, he created ‘Blue’ on the music of A. Pärt, a short choreography that often has been performed in Italy and also in Germany, within a festival in Nuremberg (Germany) in May 2003. Since 2004 Scigliano decided to end his career as dancer and he to devoted his time to work as a choreographer and freelance teacher. He restaged ‘Noon’ for the Balletto di Roma and choreographed several creations for P. Mohovic’s Esperia Company, the ‘Versiliadanza’ group and the Junior Balletto di Toscana Company, as well as the full-evening title ‘Cinderella’ on music by S. Prokofiev for the Baltic Dance Theatre Company in Gdańsk. His latest creation for Aterballetto Company is the full-length ballet ‘Casanova’, that premiered in Civitanova Marche (Italy). Actually he is preparing a new creation for the Company based on the theme of Don Quichotte.